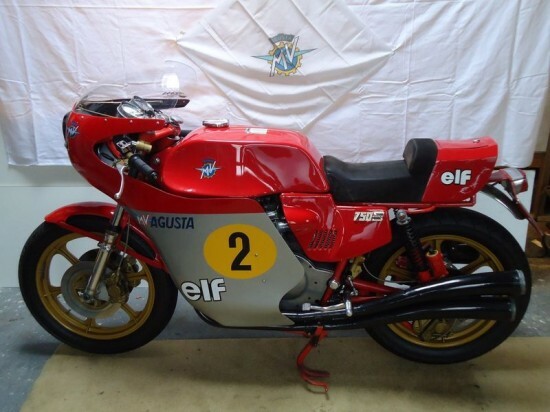 When I first saw this MV Agusta, I thought that this would be a great Eye Candy post. 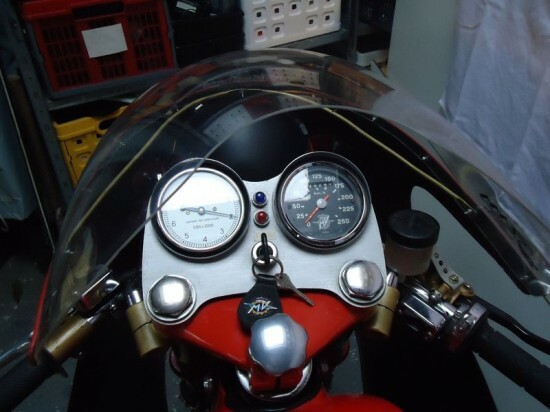 One were you just highlight the pictures, talk a little bit about the MV Agusta history and be good. The first thing that changed that was thesellers description of this 750S America. When I read about how the America came to be, it showed again the power that the American market had on the motorcycle industry. When I tried to figure out the differences between the 750S and the 750S America, the story was more about two guys and what they wanted. 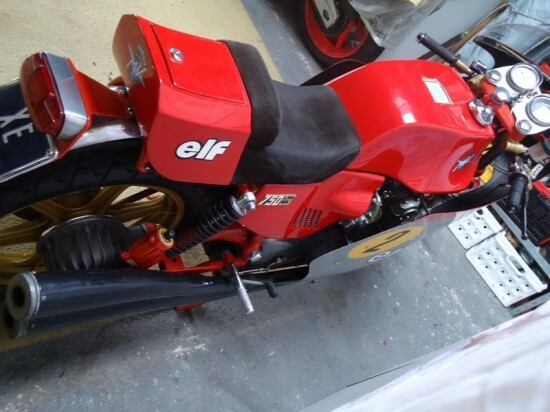 Chris Garville and Jim Cotherman were from Commerce Overseas Corp., the importer of MV Agustas to America, and in 1974 they took a trip over to Italy and knocked on MV Agusta’s door. What they asked for, what all Americans ask all motorcycle manufactures, is for more power. 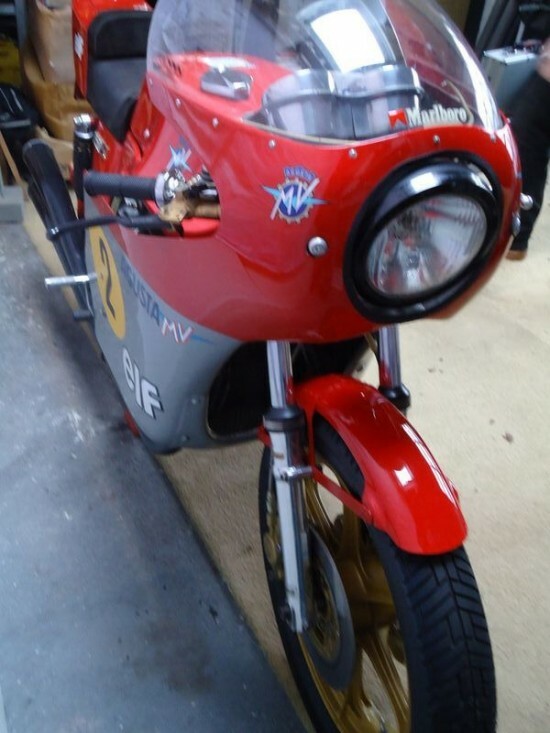 MV Agusta appears to have had a new prototype ready for the 1975 model year, so with the two Americans showing up at the door, there was already a place to start. The first step always in getting more power is to get more displacement. With only a 2mm change in the bore of the stock engine, the displacement increase was nominal, but a starting point. Next up was the top end. 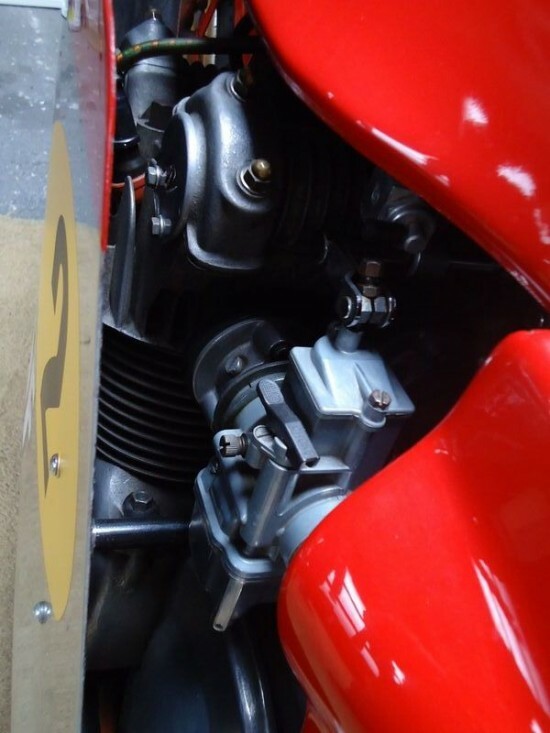 A redesigned intake track, larger intake and exhaust valves, and a reshaping of the combustion chamber were the major changes to the engine to get the desired results. With these changes, and an increase from 10.1 to 10.2:1 compression ration, horse power appears to have increased from 66hp at 8000rpm to 75hp at 8500rpm for the new American. Is the bike still for sale. If so what price. I am in Australia and would be interested in coming over if the price is reasonable. I am very interested your MV, still for sale? if yes please teach condition and price. 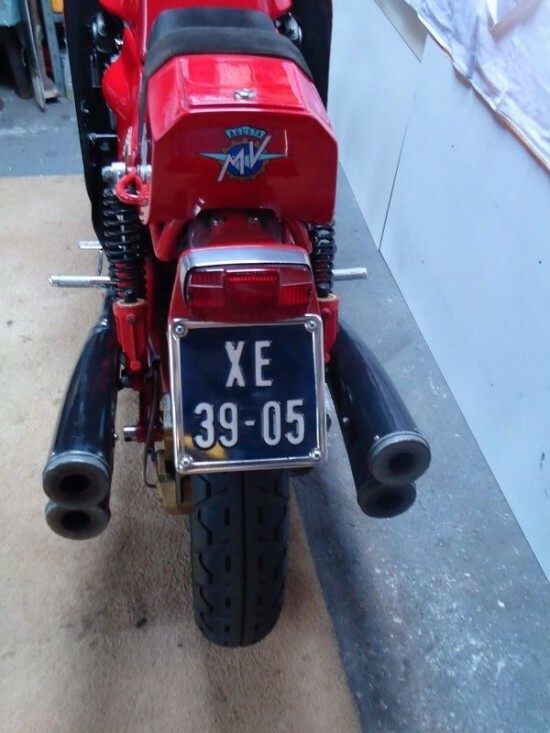 and bike is originale or restored? I am japanes but I am in Los Angeles.now. I want to go to look.